With a more established infrastructure, China has been at the forefront of the growing global markets of Asia. Some challenges China faces are labor costs rising and also shortage of skilled labor. Analysts predict that while China will see continued growth in consumer goods spending, it will also see its production going to other emerging markets such as India. India, which traditionally boasts cheaper labor costs is a major player in Asia as well. India has slowly been addressing investments in its infrastructure and logistics to keep up with the growing demand as the country has historically trailed behind China. These investments will be necessary considering that analysts predict that production demands will increase for India. As some steady rises in transportation and labor costs from Asia have emerged so has Mexico. Mexico has recently been considered a key market for the automotive industry. Many US based firms are now near-shoring when possible in Mexico. Lead time and reduced transportation costs are key to Mexico’s success, but more favorable duties and taxes will also help growth in Mexico. 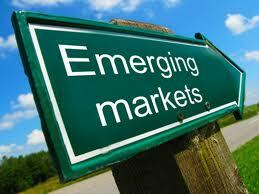 The largest country in South America in both size and population is also the lead emerging market in South America. Brazil, like Mexico, is benefiting from “near-shoring” as many U.S. based firms are seeing the value of having a closer partner. Skilled labor and quality control also are key to Brazil’s growth. One important thing to note is that the emerging logistics markets are also the growing consumer markets. As markets become saturated in more developed countries, so called second tier markets will be a focus for many firms especially in the consumer goods categories. Firms that are able to align their supply chain needs, proximity, existing logistics infrastructure, labor costs, and potential market share will be the ones who will be best suited to take on these emerging markets.